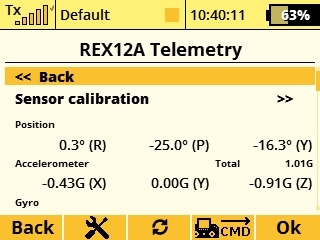 The REX Assist receivers enhance the REX series of receivers and extend it with the intelligent flight stabilization feature, which is designed for airplane models and multicopters. 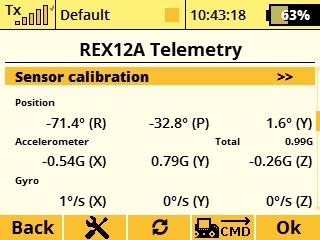 This stabilization works in all three axes of the model and facilitates flying in windy or otherwise challenging conditions. 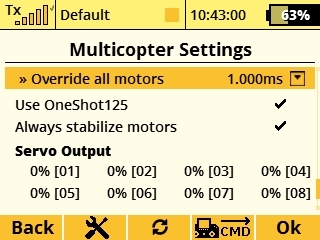 Aerobatic maneuvers will be more accurate and smoother. 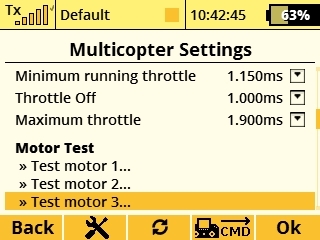 With the help of several flight modes, which are also suitable for beginner pilots, flying practice will be really easy. 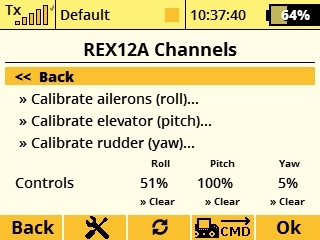 The Airplane Settings Menu allows you to adjust gain and stick priority for all three axis directly from the transmitter. 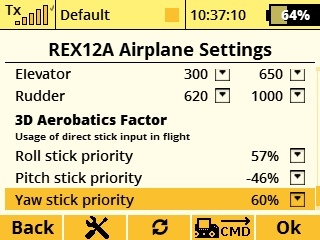 It also allows you to control stick priority which reduces gain at the extreme ends of travel by the amount that is entered. 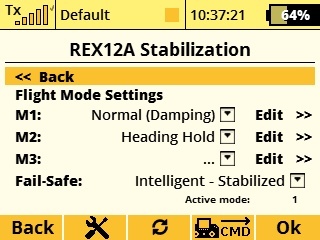 In the Stabilization Settings Menu, you assign the three flight modes and make adjustments, individually, for all three including the damping mode, default gain and which channels are stabilized. 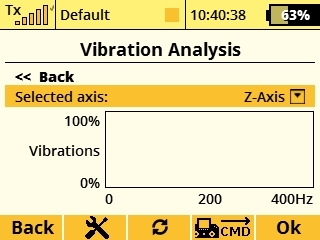 In the Advanced Properties Menu, you control the general settings like the output period, number of PPM channels, and whether or not to stabilize the EX Bus output. 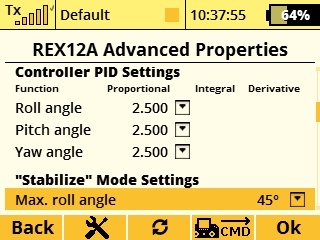 It is also here where you adjust the PID settings for the three axis.